Michael E. Martin, Owner/President of Omega Financial Services, Inc. has over 31 years of experience in the Consumer Finance Industry. Omega Financial Services, Inc. was established in May 1996 and has served the Kentucky and the Southern Indiana area for 20 years. Omega Financial has invested millions of dollars in the local community through the lending services that it provides. Personal Service is all we have to offer. We treat you like the person that you are, not a credit score! We offer loans from $300.00 to $15,000.00, and with terms from 6 months to 60 months, we can arrange payment terms to meet your budget. All loans subject to our usual credit policy and procedure if any, but even if you have slow credit, or bad credit…we can help! Omega Financial Services is here to help you get the money you need today! Just fill out our easy online loan application, and we'll get back to you within one hour, during normal business hours. CALL (502) 231-5464 OR APPLY ONLINE! For over 20 years, Omega Financial Services has been helping people like you get the money they need, fast! Omega Financial can provide loans for any reason!. Michael E. Martin, Owner/President of Omega Financial Services, Inc. has over 31 years of experience in the Consumer Finance Industry. 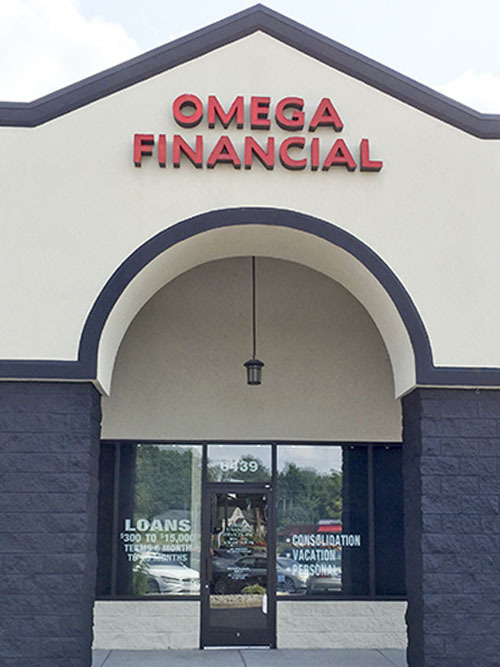 Omega Financial Services, Inc. was established in May 1996 and has served the Kentucky and the Southern Indiana area for 20 years. Omega Financial has invested millions of dollars in the local community through the lending services that it provides. Personal Service is all we have to offer. We treat you like the person that you are, not a credit score!